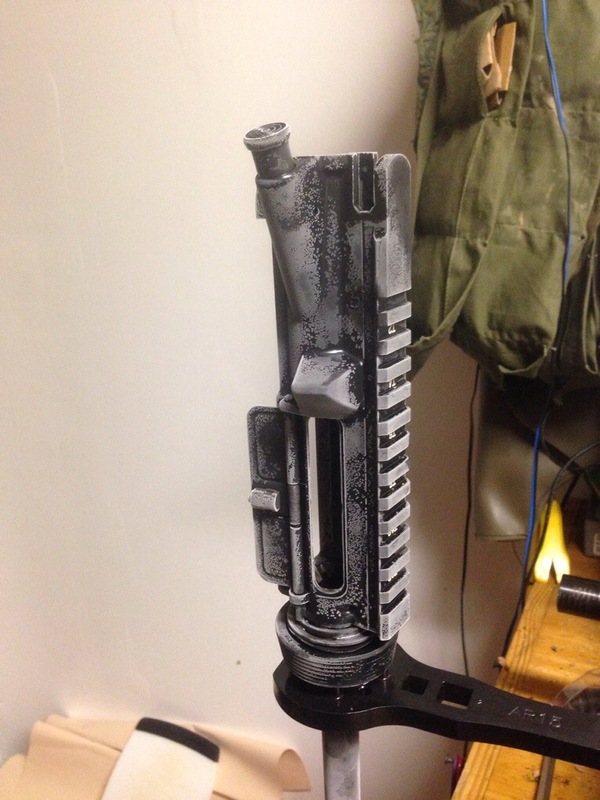 NOTE: Tactical words bolded for high speed low drag reading. 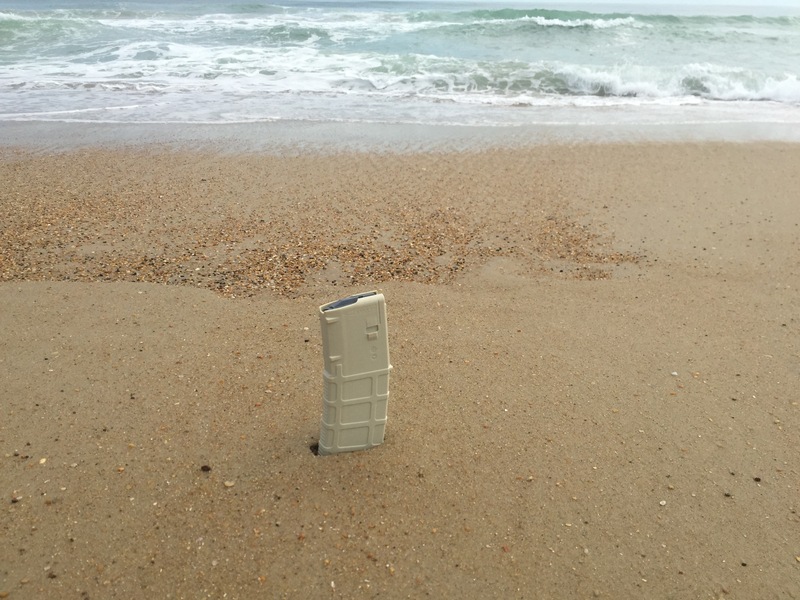 On a recent surf fishing trip, I brought along one of Magpul’s new sand color PMAGs. 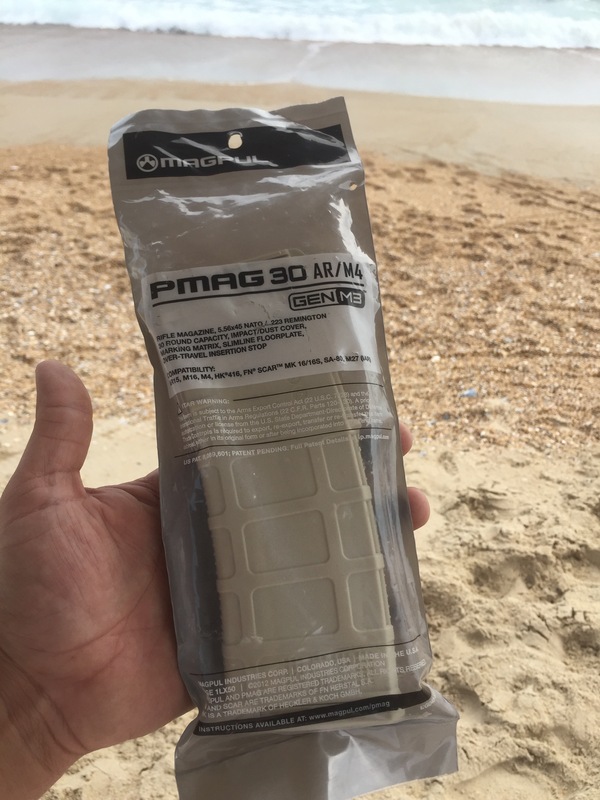 I ran this peice of kit through rigorous high speed low drag trials to see if it is up to the tactical demands of a surf fishing operator.Initial testing indicates that these PMAGs are less noticeable on the sand than black PMAGs 40s. 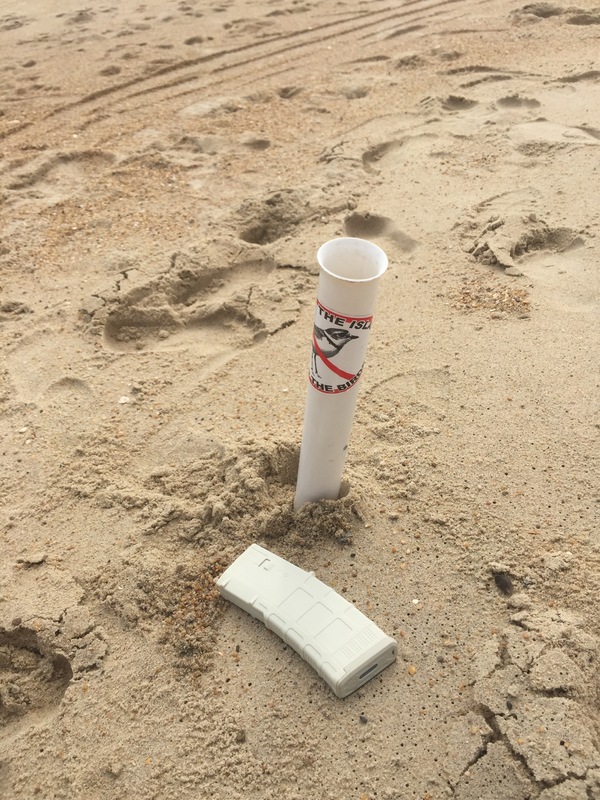 Scientific trials were conducted by placing a black PMAG 40 and a Sand PMAG 30 near the edge of the surf where beachgoers were likely to walk. Observations indicated that subjects (n=1) were 100% more likely to trip over the sand colored Pmag. 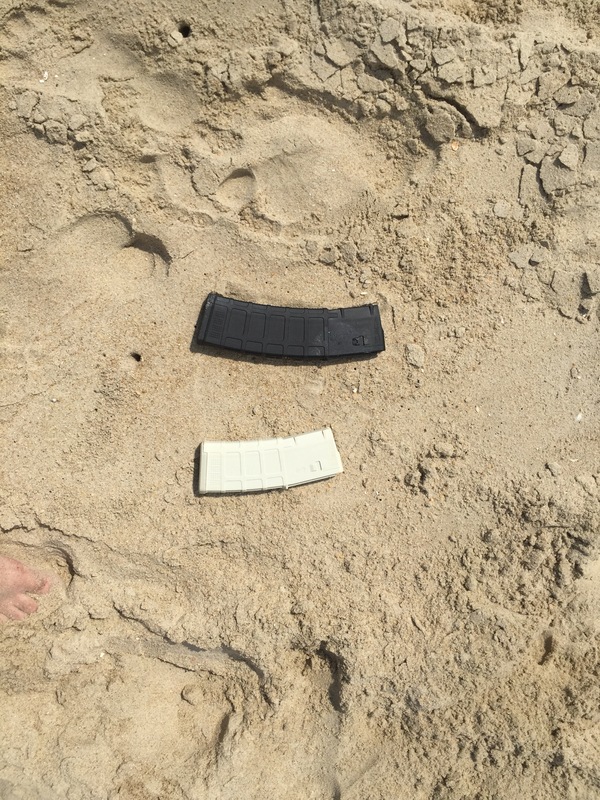 Therefore it is assumed that sand colored PMAG are 100% less visible in a beach environment. 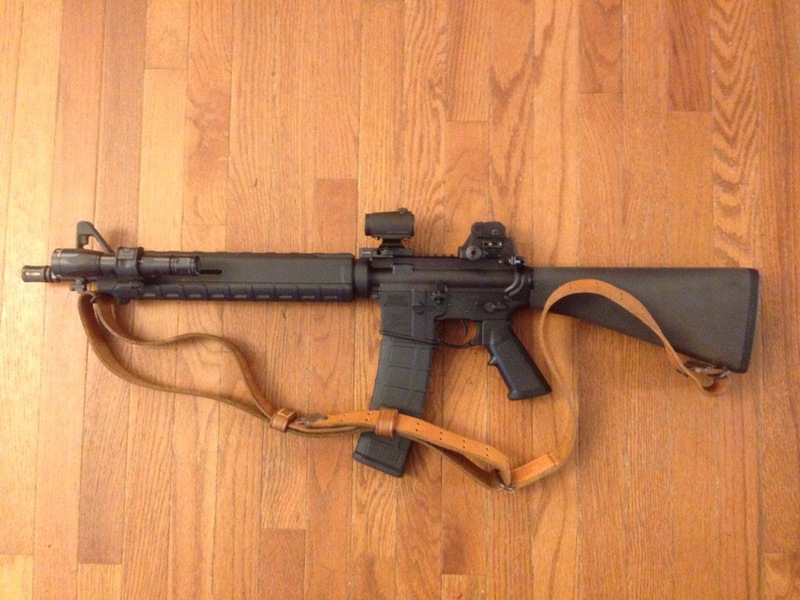 Where did my AR pistol go? Over at guns.com they ran a story about a new digital trigger prototype. There is not a lot of info on how it works other than “an electronic signal releases the trigger.” From watching the video below I’d speculate it’s activated when the trigger which just pivots on the trigger pin and spring hits the little blue button behind the trigger. 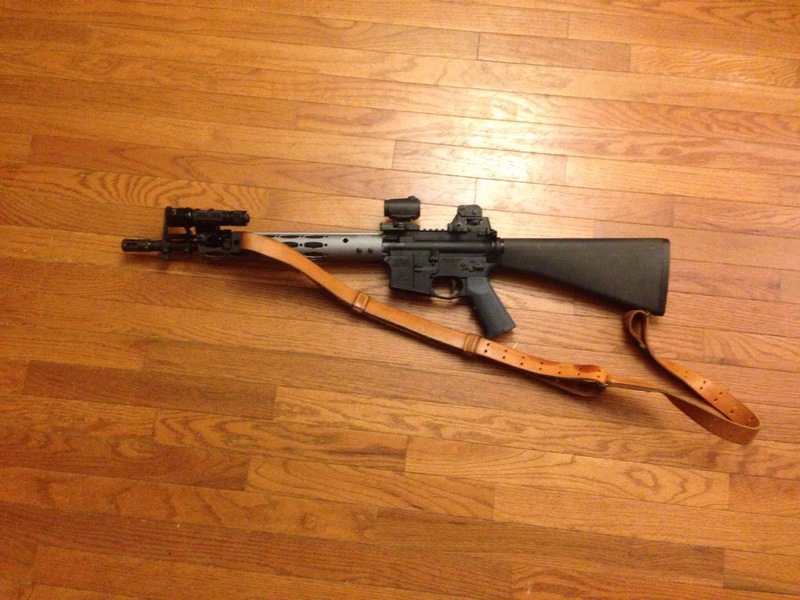 This certainly won’t be service rifle legal in the foreseeable future. Electronic triggers are not uncommon in the paintball/airsoft world it will be interesting to see if they catch on outside of a novelty . What do you think? 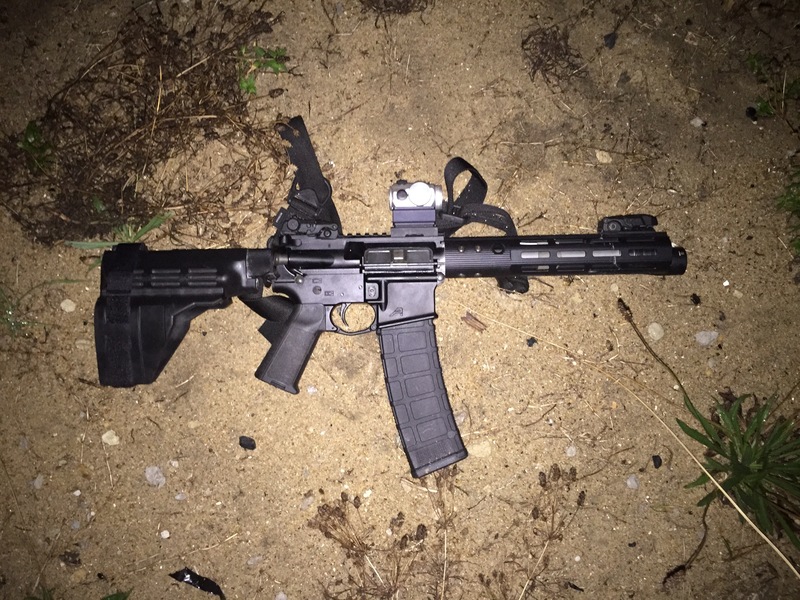 I picked up a nice free float rail from ALG defense, so I needed to take the barrel off of my Palmetto State Armory (PSA) mock dissipator. Sounds easy right? Well not so much. Using my improvised upper clamshell and multi-tool I couldn’t even budge it. I managed to lift my workbench slightly off of floor in the process. This was pretty impressive as my workbench is a couple hundred pounds and screwed to studs in two walls. 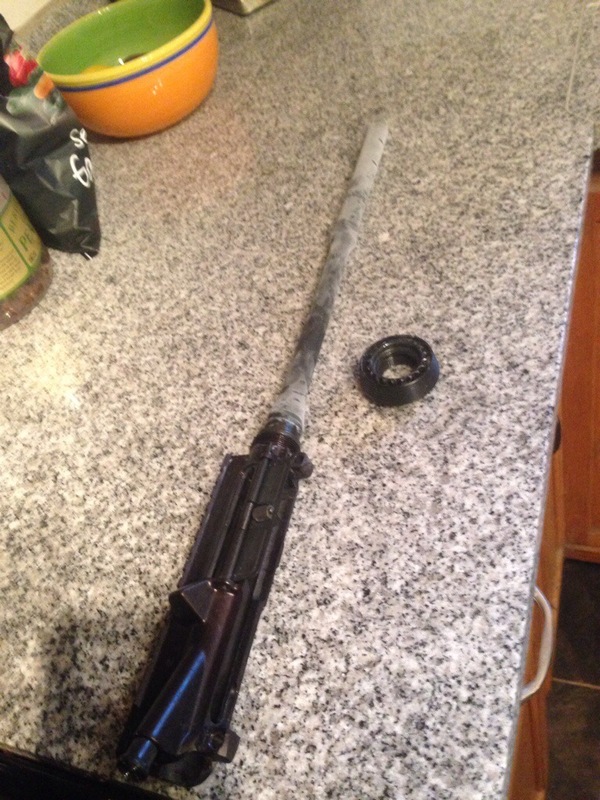 The front sight was canted so I knew it was probably over torqued but it was worse than I expected. 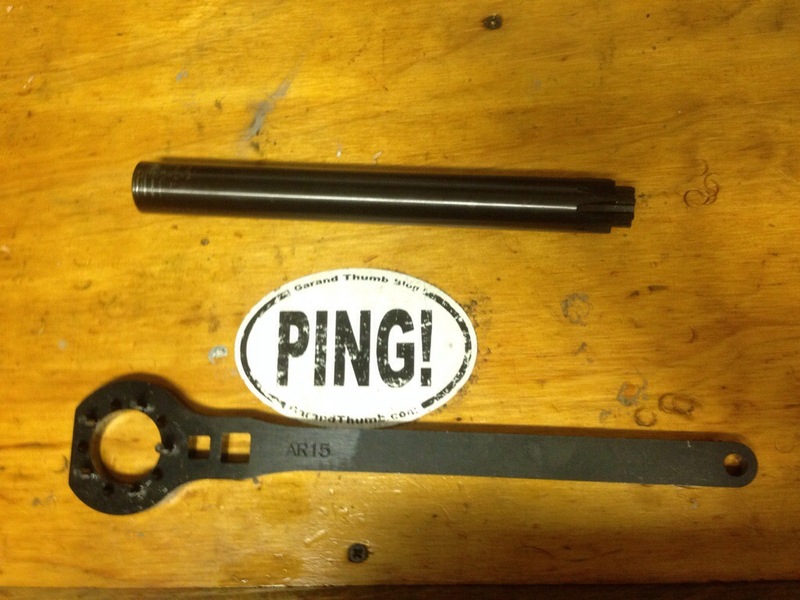 After a few more tries and a can of liquid wrench, I gave up and ordered a torque bar and a heavy long handled PRI barrel wrench. Even with the new tools ,the barrel nut wouldn’t budge. Before I broke out the saw I thought I’d give a trick I read about a try. Science suggests steel (the barrel nut) contracts less than aluminum (the receiver) when frozen. 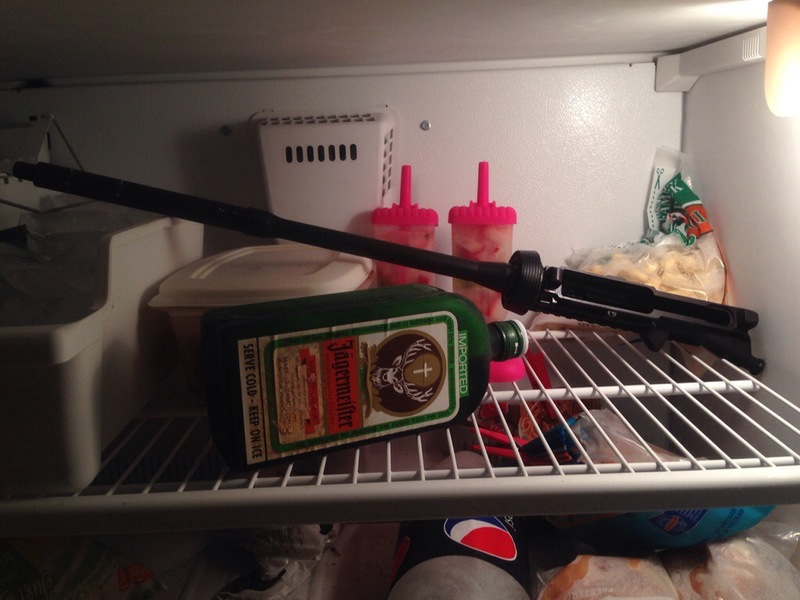 So I tossed the whole upper in the freezer overnight with the jäger and my wife’s homemade Popsicles. Luckily that was just enough to break the nut free and was able to move on to installing my ALG rail, which was much easier. If I were to do it again I would have ordered the more expensive geissele reaction rod as it has nice flats built into it. The flats would make it a little easier to work with. 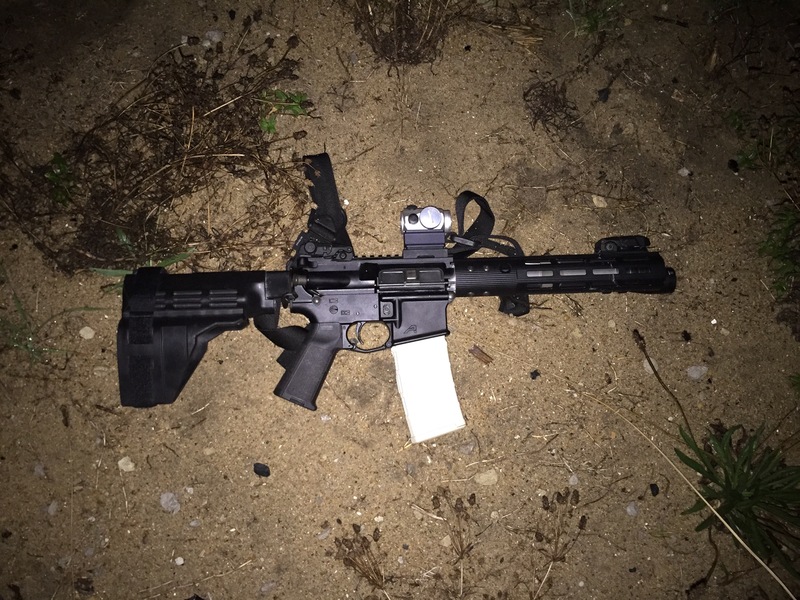 The internet is full of speculation as to what the “best” co-witness is for your red dot and iron sights. Frankly there is no right answer, you have to decide what works best for what you are trying to do with your rifle. First of all what is co-witness? 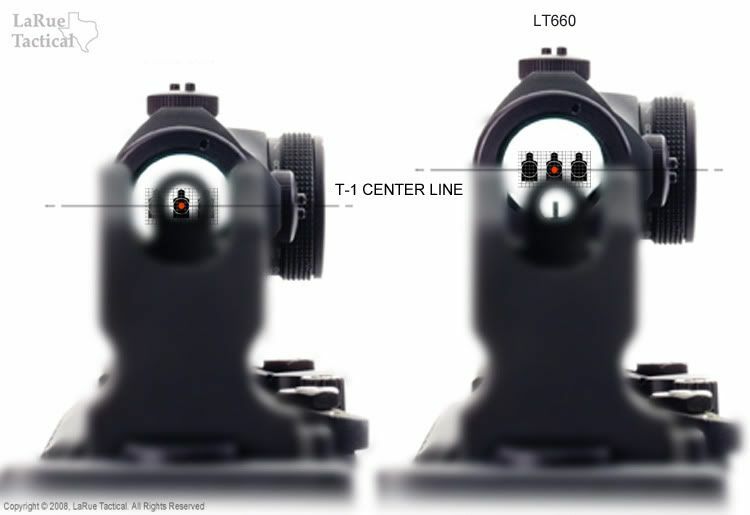 Sights should always be co-witnessed, which means that the iron sights and the dot are zeroed at the same distance. Zero the irons, zero the dot and they should both point at the same place. The decision point is in determining if you prefer Absolute Co-witness or Lower 1/3. The choice really comes down to what optic mount height you chose, the irons will stay the same height. Lower 1/3 Co-witness is just like it sounds, the iron sights (specifically the front sight) will be in the lower 1/3 of the optic. The idea behind this is the shooter can look over or flip down the rear sight and have a “less cluttered view” but, more on that later. Absolute Co-Witness means the front sight is in the middle of the optic. The idea here is cheek weld is the same for both sighting methods. This is the method I prefer. As you can see below it is not as cluttered as some suggest. I’ve gone a step further than most with absolute co-witness. 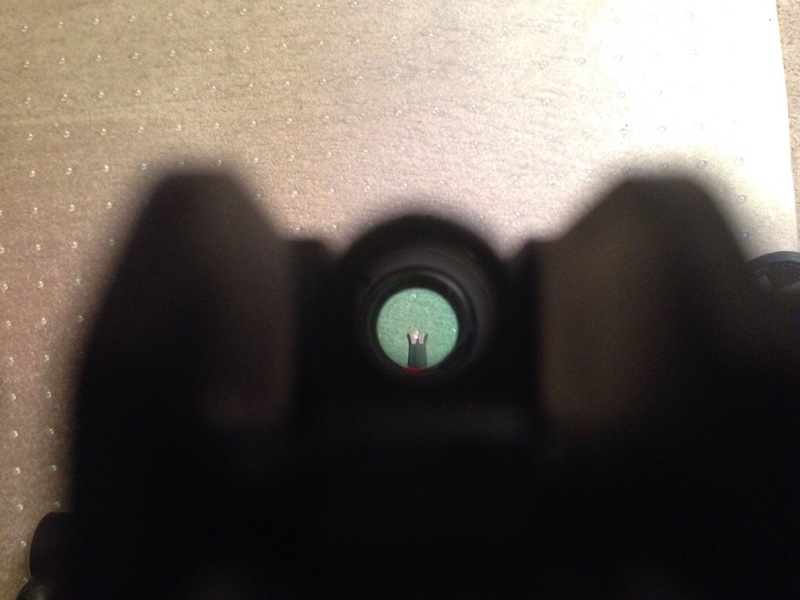 As I am a believer in marksmanship with iron sights, I use a fixed rear sight in conjunction with an Aimpoint T1. I’m not a tactical trainer, but I like being able to keep my head in the same place to use both. The LMT rear sight allows me to use the irons to shoot known distances using the elevation knob and the red dot allows me to acquire targets faster and shoot from weird positions. Best of both worlds in my humble opinion. There are some things the shooter will need to “be smart” about with this set up. 1. For taking quick shot, use the dot. Don’t try and line up the irons. 2. 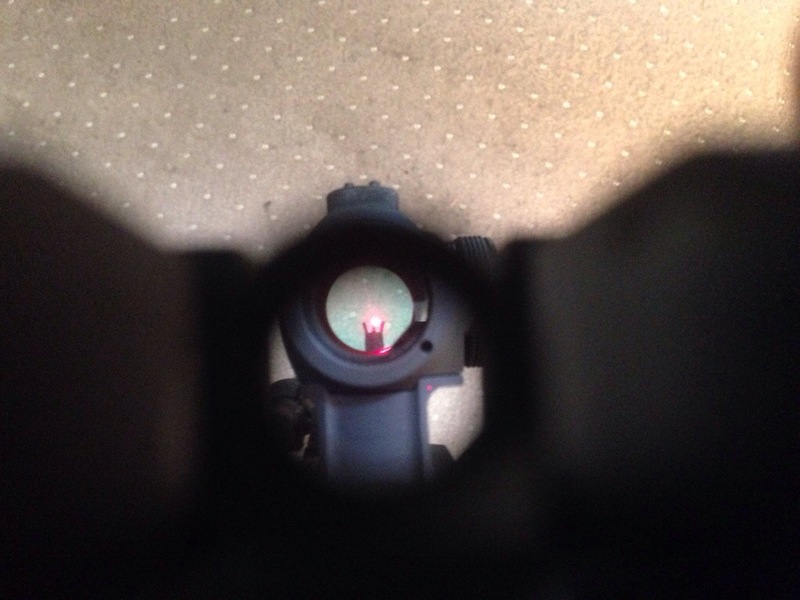 Focus on the target if using the dot, focus on the front sight if using the irons. 3. Use the 0-2 aperture once the zero has been established, the smaller aperture is too slow for quick target acquisition. If there is time to dial in a known distance, there is time to flip the aperture to the small side. Larue Tactical offers two very nice Aimpoint Micro mounts: the LT751 (absolute) and LT660 (lower 1/3). Both are solid mounts and they have a nice quick detach leaver and repeatable zero. See the mounts here. They have an interesting picture that they use to try to make the case that with an absolute co-witness, part of the target will be blocked. Compared to the pictures above I’m not sure that is an honest description. The eye should be close enough to the rear sight that it is almost entirely blurred out especially with the 0-2 aperture. Even with the shooters’ head all the way at the rear of the stock, the sight will not block the target as pictured below. In my opinion, it all boils down to the user knowing when to line up the irons and when to rely on the red dot. 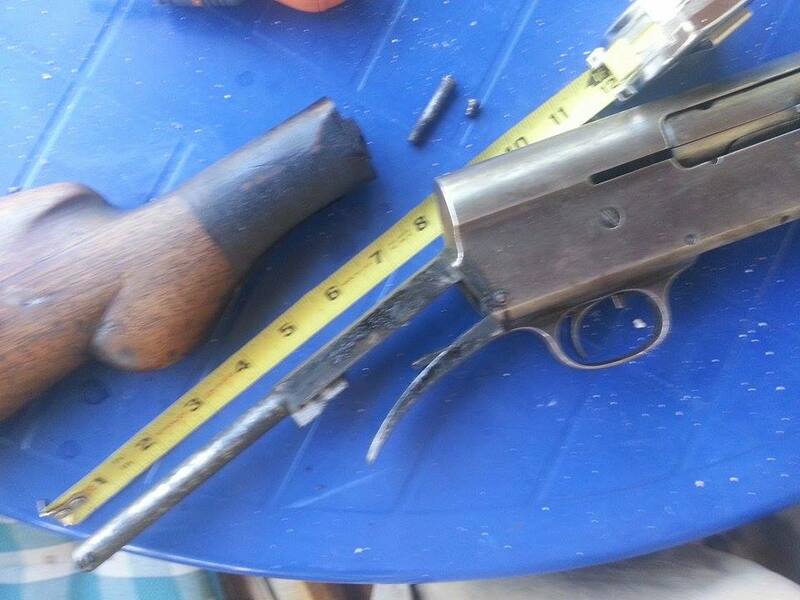 A whippet is simply a sawed down Remington model 11. 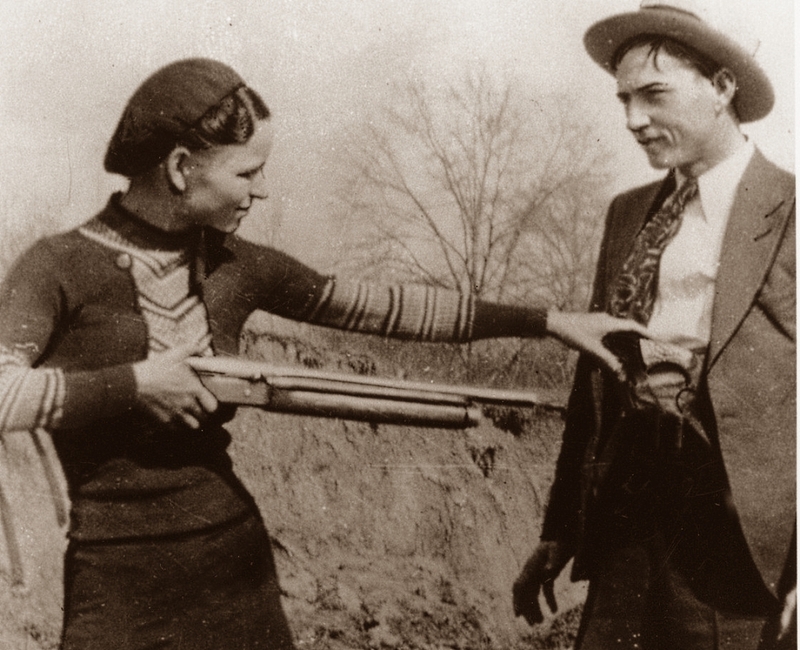 The term Whippet specifically refers to Bonnie Parker’s 20 Gauge which was cut down so it could be concealed and then Clyde or her would “whip it out” from under their jacket for a devastating ambush. This famous picture shows Bonnie demonstrating the whippet on Clyde. Bonnie and Clyde’s whippet was found in their shot up V8 Ford after their death. Along with Clyde’s infamous sawed off BAR. 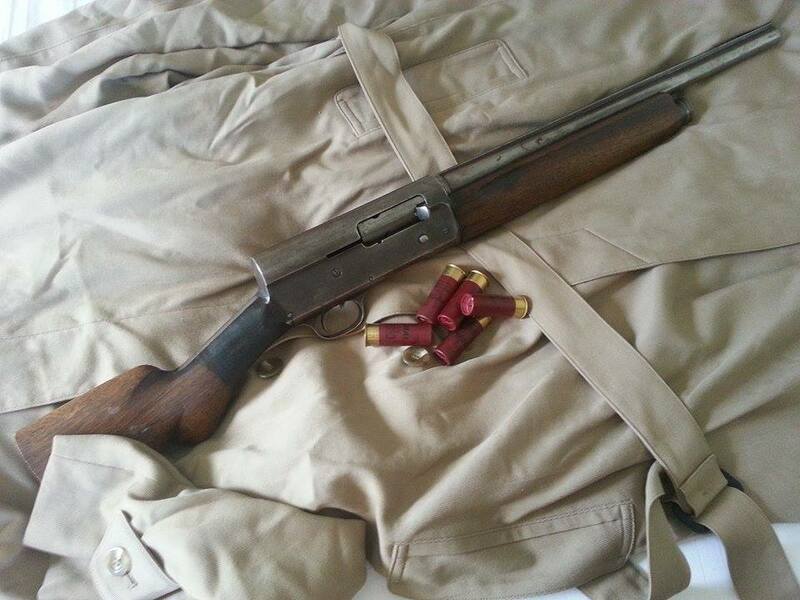 The clone I shot was a 12 gauge model 11. Originally made in 1912, its owner acquired it in poor shape and cut it down, to legal length. If you are going to make your own Whippet clone watch out for the recoil spring assembly which extends into the stock. A whippet is a fun gun to shoot and represents a wild time in our history. The recoil is aggressive but in the right situation it could serve reasonably well as a self defense gun. Testing the Whippet out at the GTB testing laboratory, turns out its not a very good clay gun. 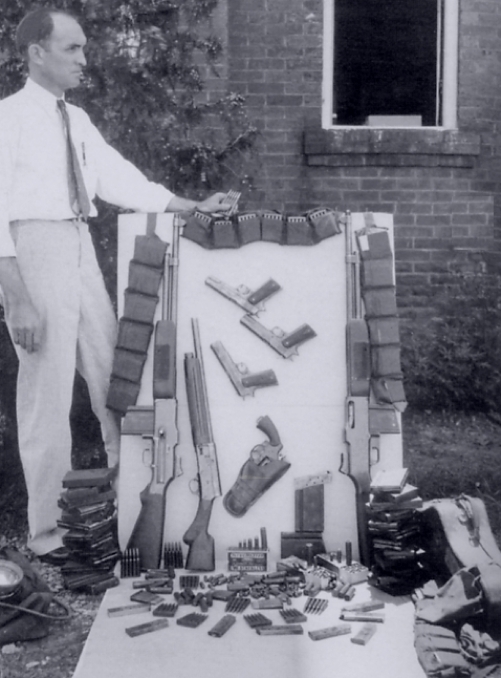 Check out Rob Reed’s article over at the examiner for more on Bonnie and Clyde’s guns.